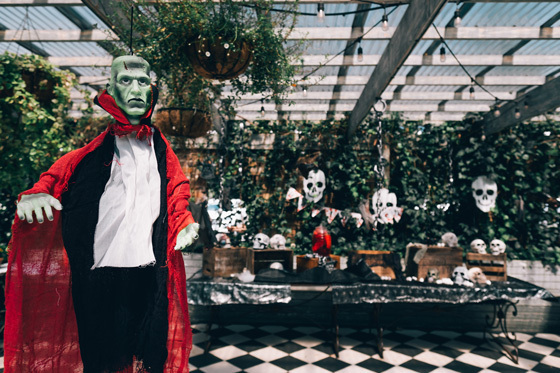 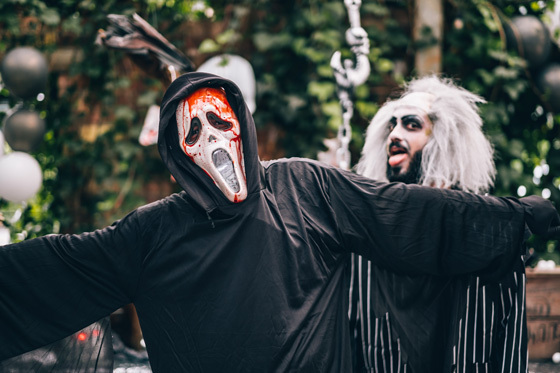 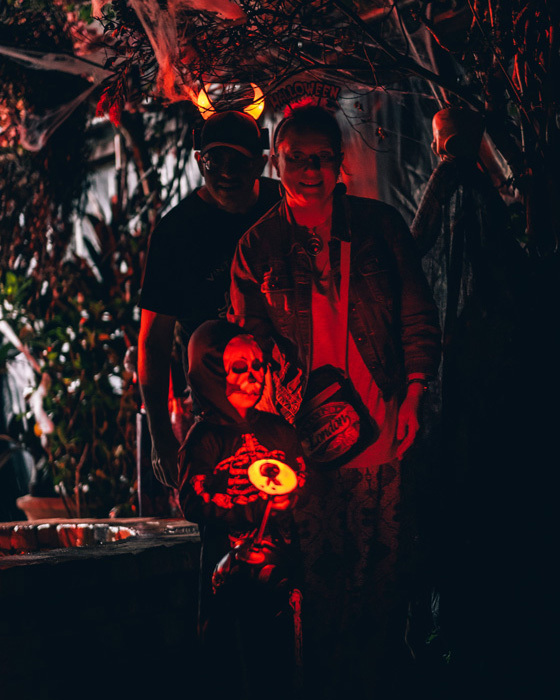 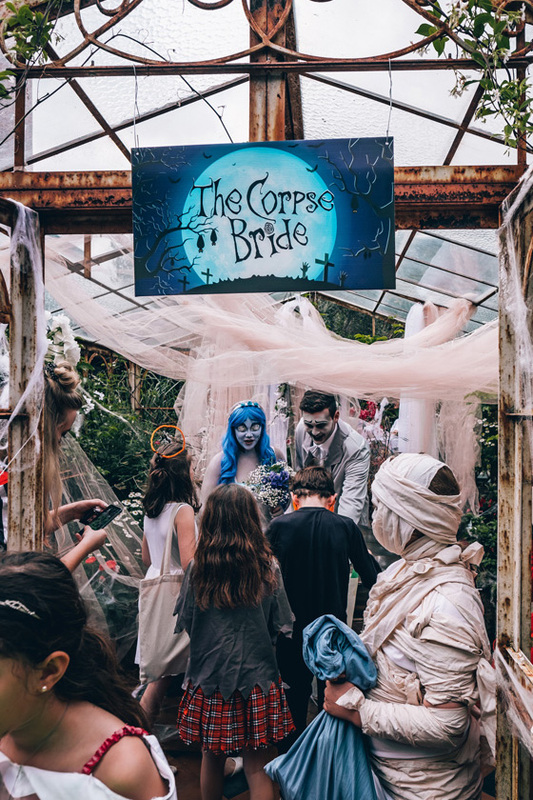 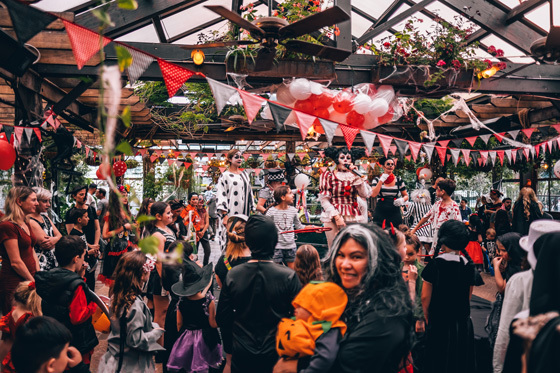 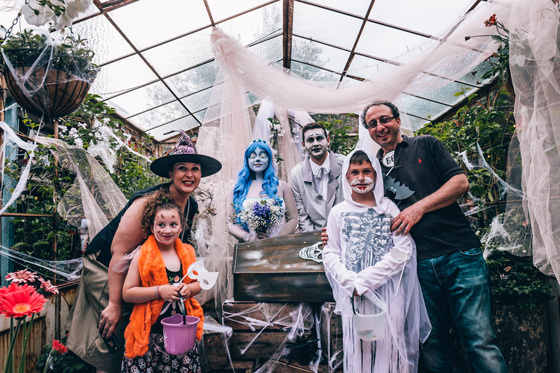 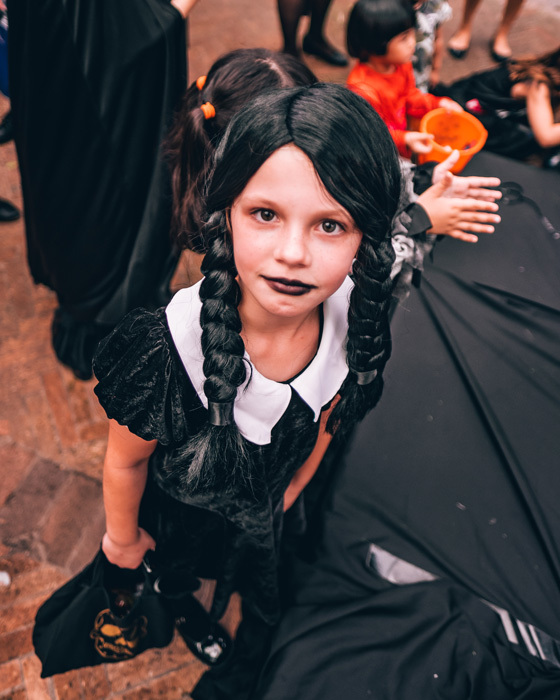 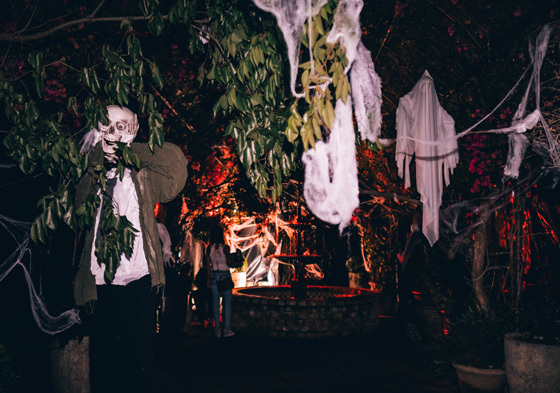 This year marked the second year of Kids Garden of Terror Halloween Party and we transformed our usually fairy-lit arbour into a pitch black Tunnel of Terror for those who dared to enter! 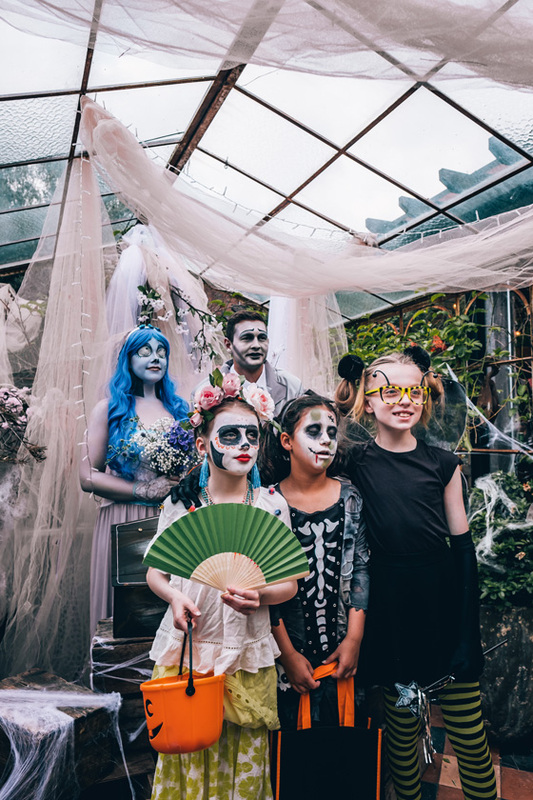 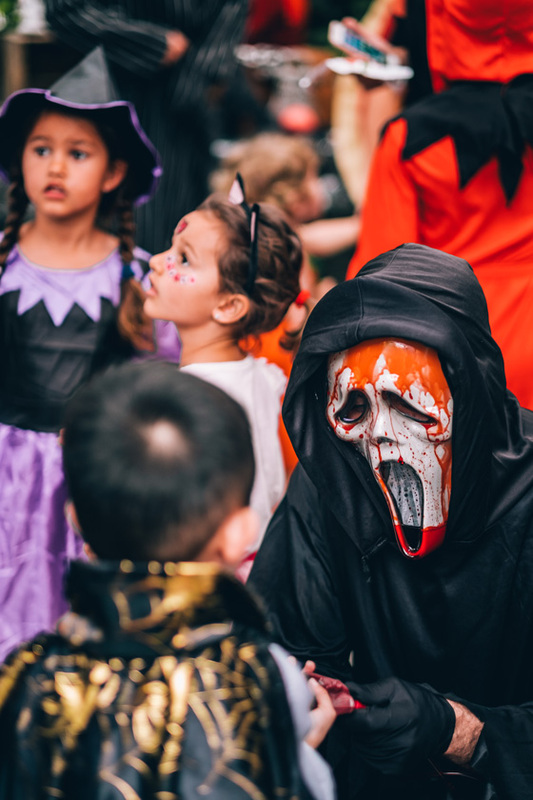 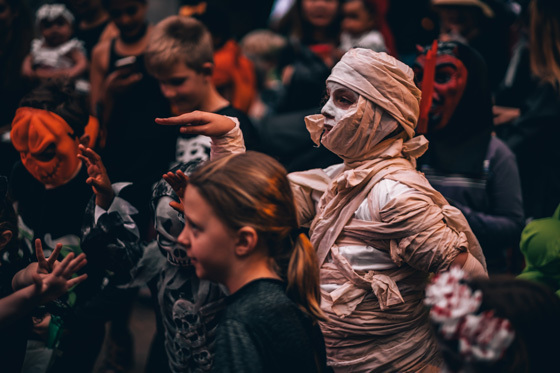 Little ghouls and boys trick or treated their way through our spooky installations and visited their favourite scary characters. 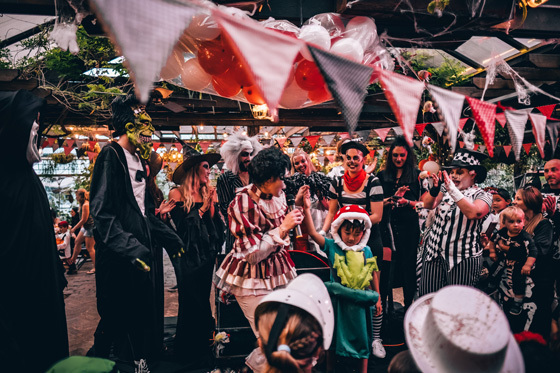 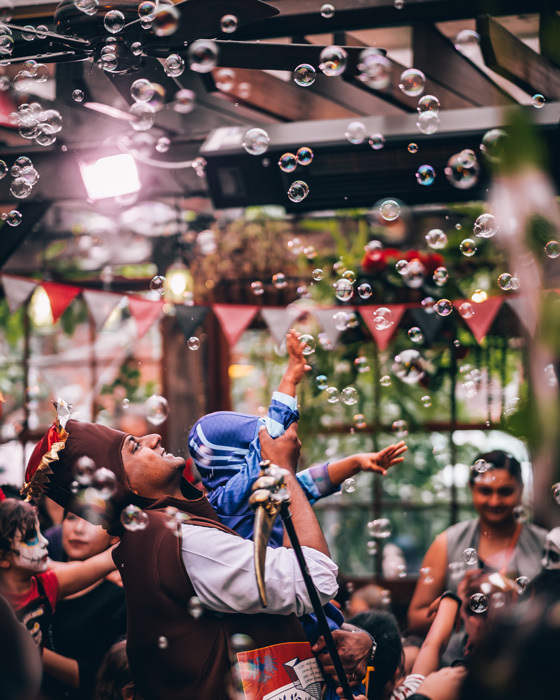 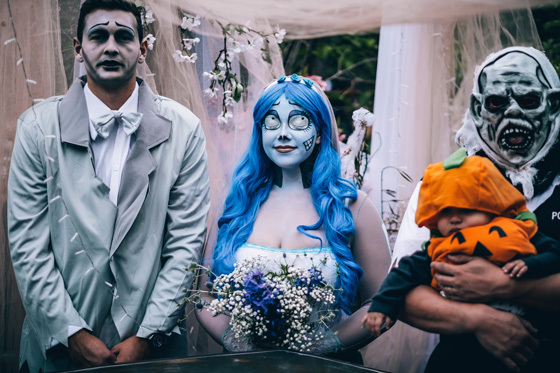 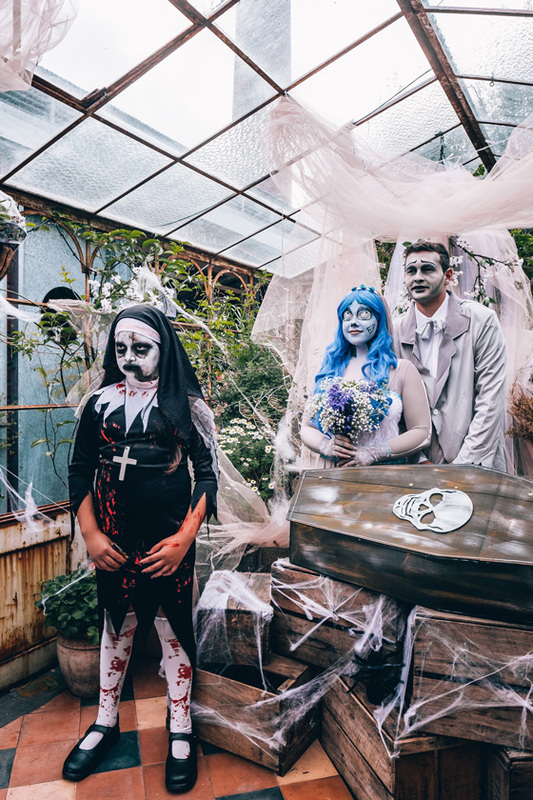 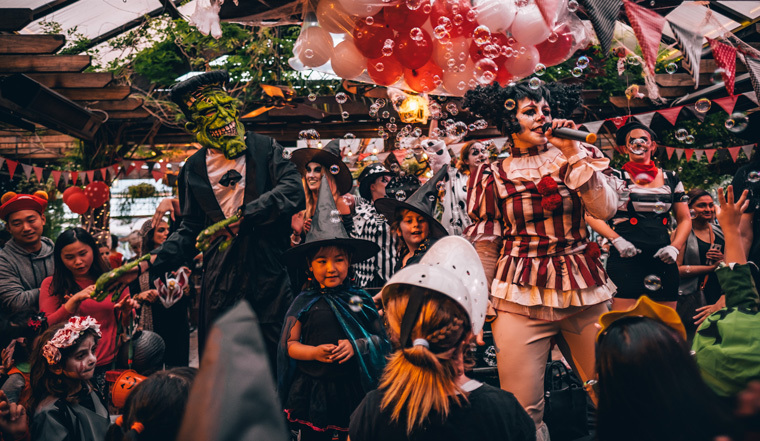 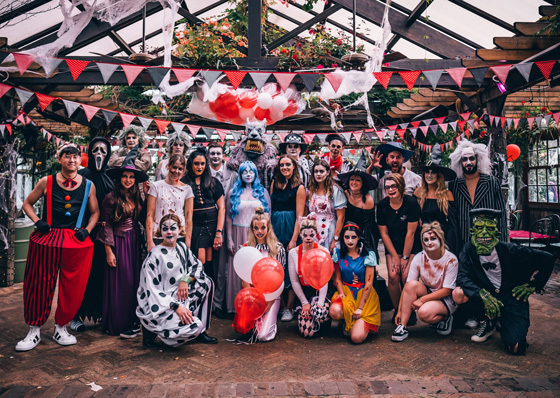 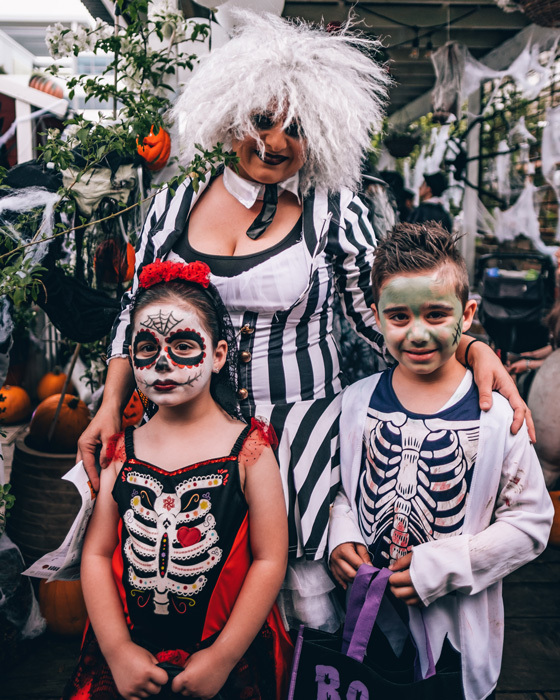 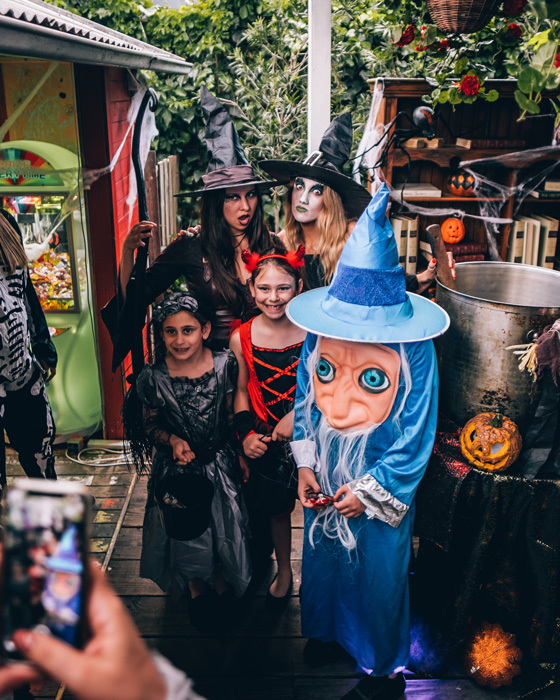 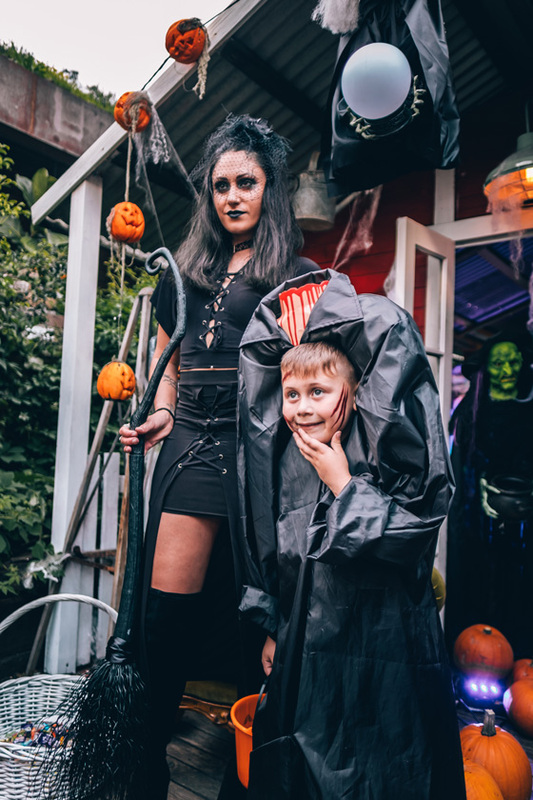 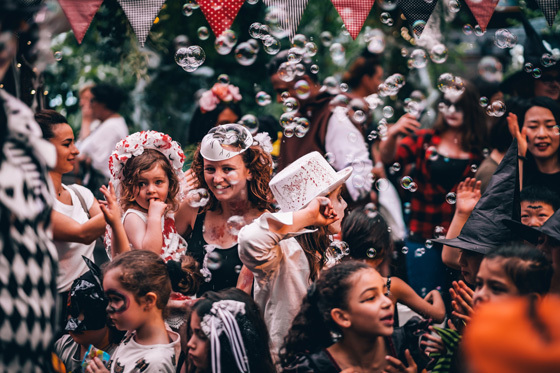 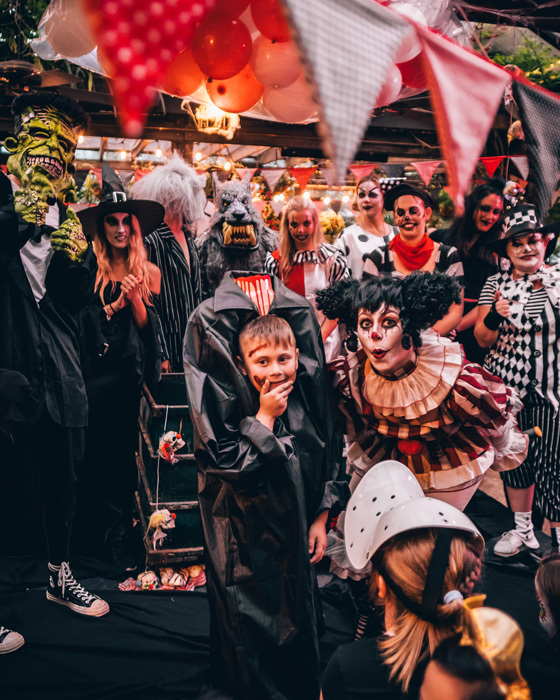 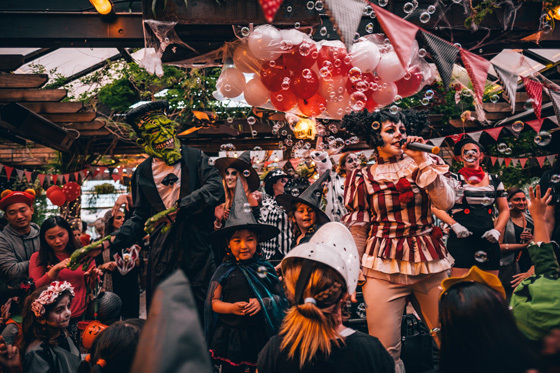 The three witches guarded lollies with their broomsticks, Beetlejuice and his gang welcomed kiddies into the Mad House, The Corpse Bride and her Groom awaited little monsters with a coffin overflowing with treats and the crazy clowns awaited party goers for a boogie in The Clown House. 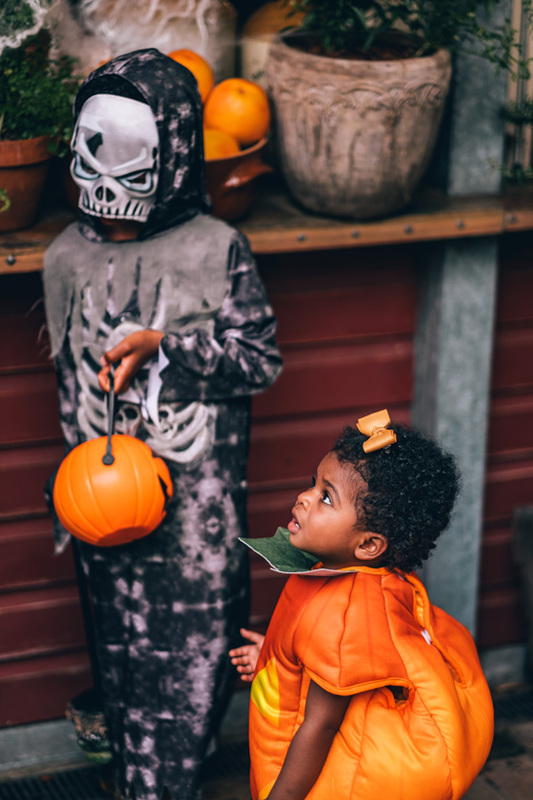 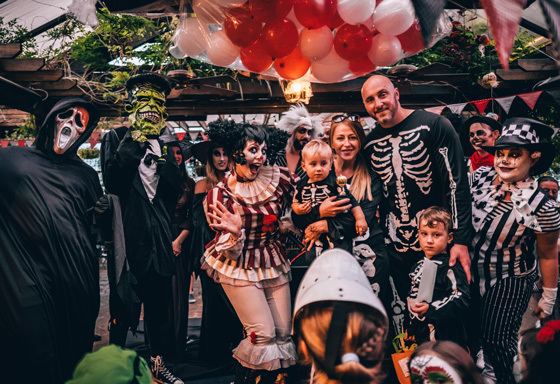 We crowned ‘Best Dressed’ to a bunch of bones in a family of skeletons, the ‘Funniest Costume’ to the Super Mario Piranha Plant and the ‘Most Scary’ to the little man running around without a head. 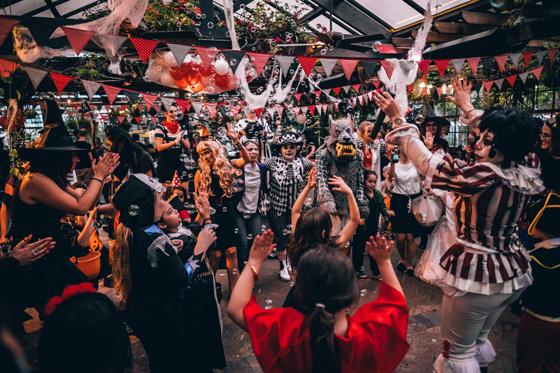 Thanks for partying with us, we can’t wait to see you all at Christmas. 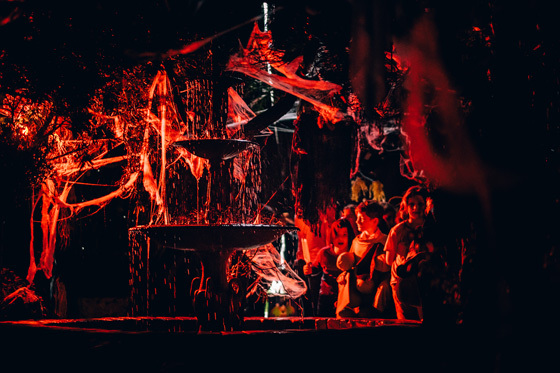 Scroll through to see all of our favourite photos from the night.